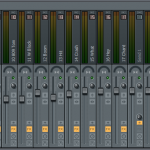 Beatmaking is certainly one of those things that you get better at each time you do it. It’s a process in which you craft your skills over time. Now that’s not to say that you can’t get better a lot faster studying and using resource materials but it really is a skill that you develop. Today I want to look at how to get better at beatmaking and give you some tips for doing so. 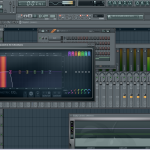 The first thing that you need to understand is that there is a process to make great beats. But the idea is that you need to have a process in place that speeds up your workflow and captures your best ideas when you’re ready to lay them down. Now this process may be slightly different for each producer but the process that we laid out can be a great starting point for any producer. One of the best ways to get better at beatmaking is remaking other tracks. Especially if you are remaking one of your favorite tracks or one of your biggest influences. This can be great because you really start to break down what makes up a great track. You start to see how other producers do things and how you can improve your beats using similar processes. 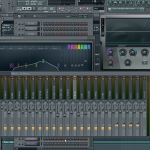 When I started remaking my favorite tracks that is when I truly discovered sound design. When you make other tracks you won’t always have the same sound as the original producer, and if you do it’s likely you won’t be able to find them all. This requires you to get creative and start designing your own sounds on synths until you get something similar to the track your remaking. This is a great way to force yourself to learn sound design which is a huge part of getting better at beatmaking. Presets are great but they are really just a start. And once you learn it you can design any sound you want from scratch. 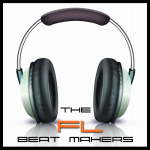 If you follow this site then you certainly know how important we think the mixing process is to beatmaking. If you want to take your beat making skills to the next level then learning how to mix is a must. Great productions can be ruined by a bad mix. That is one of the reasons we created The Beat Mixing Guide. One often overlooked part of making great beats is the sounds that you use. I’m not saying that the only way you can create great beats is with good sounds. But what I am saying is good samples and synths can help you become a better beatmaker. The majority of the time the formula better sounds in = better sounds out is true. Yes, skill is a huge part of beatmaking but great sounds helps tremendously. Don’t do the same things and use the same tools every time you produce. As a beatmaker you need to experiment with different sounds and different processes as you compose. If not you can fall into a trap of creating the same styles of tracks. And if you don’t experiment with new tools and sounds it is hard to grow as a producer. These are just a few of the many ways you can become a better beatmaker. Hopefully you will take some of these tips to heart and focus on becoming a better producer!